2017 was a year for big changes in custom shower enclosures. We installed some of the largest showers in our history this year. 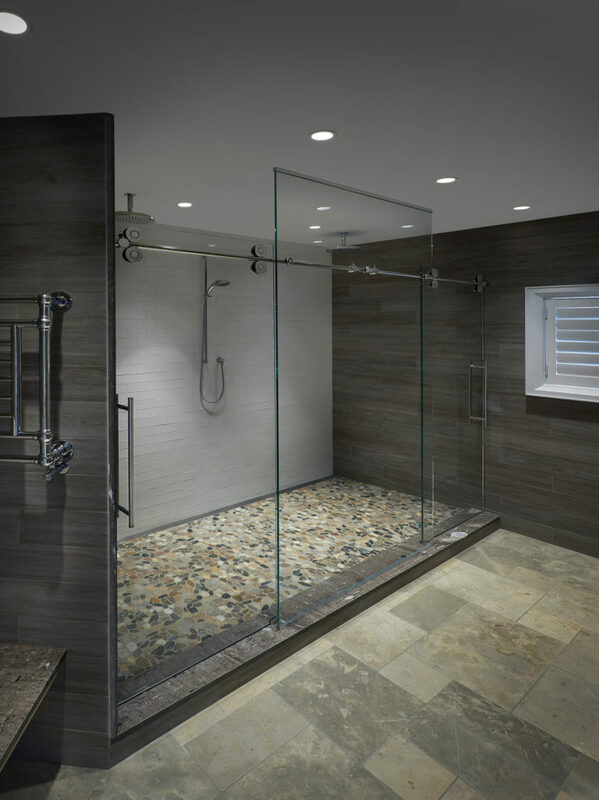 Many of the showers using Low Iron 1/2″ glass. While Low Iron is more expensive than regular glass, It has an outstanding look next to the newly emerging white tile​ which is​​predominant in today’s​ market. Hardware has taken a turn with additional handle and hinge configurations being added to product lines. Matte Black hardware is becoming​very popular​, even though it is still ​difficult​ to source. Designers are pairing the Matte black finish with chrome fixtures in some cases. We have even seen customers splitting shower valves ​allowing ​access to valves on the opposite side of the shower from shower heads​. This facilitates ​the ​warming of the water​ prior to entering the shower.